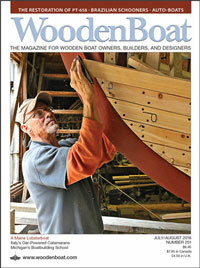 ODYSSEA, a classic houseboat launched in 1926, graces the last page of our July/August issue, WB No. 257. 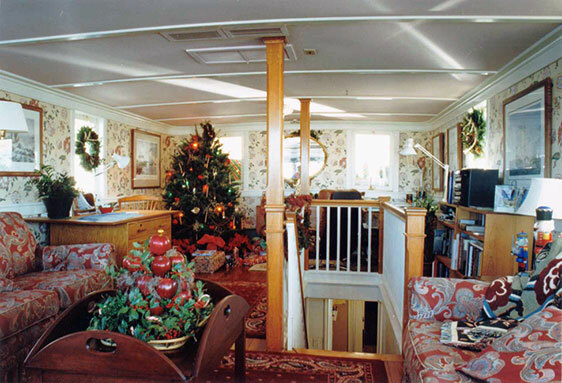 The Wildey family of Seaford, Virginia, designed, built, and lived aboard her for 40 years. She has had just a few owners since then, with someone always living aboard since she was first launched. At 75′ overall and 19′ wide, she has all the systems of a house: an electric range, central air conditioning, washer and dryer, shower and tub, refrigerator/freezer. The oil furnace heats their hot-water, and both decks with a hot-water baseboard system. ODYSSEA is powered by a 225-hp GM 6-71 diesel engine and an ONAN 12kW diesel generator, which the owners use when shorepower is not available. 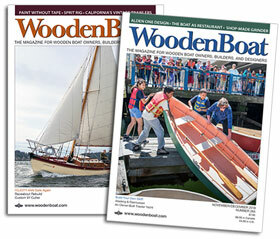 Yacht designer Jay Benford and his wife bought her in the mid-1990s and cruised her from Long Island, New York, to St. Michaels, Maryland, under her own power. 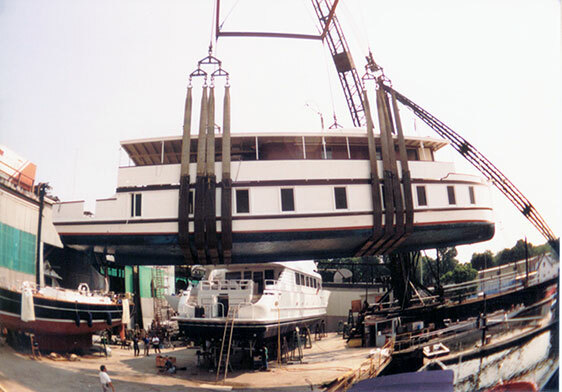 They consider her a stable coastal cruiser. When they decided to sell her, Jay prepared this brochure for prospective buyers. Also here is a PDF of Save a Classic from WB No. 257.